Organize your kitchen utensils with this Cal-Mil 1950-64-13 2 qt. 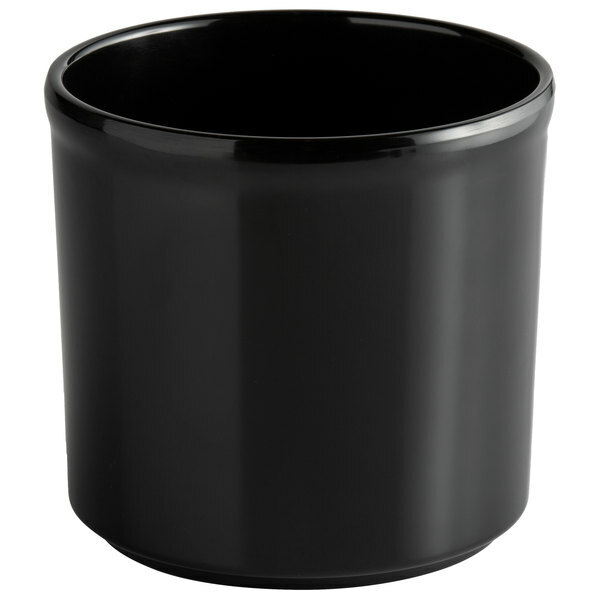 black melamine utensil holder! Great for prep kitchens, bakeries, and catering companies, this melamine utensil holder is the perfect way to keep all of your frequently used cooking utensils, from spoons to spatulas, within reach. Organizing all of your kitchen tools makes it easy to know where everything is exactly when you need it. Plus, this utensil holder is a simple way to keep your countertops free of clutter. Made of durable, virtually shatterproof melamine, this utensil holder is a long-lasting addition to your kitchen. Thanks to the melamine construction, you don't have to worry about broken glass or ceramic if this holder happens to fall over. 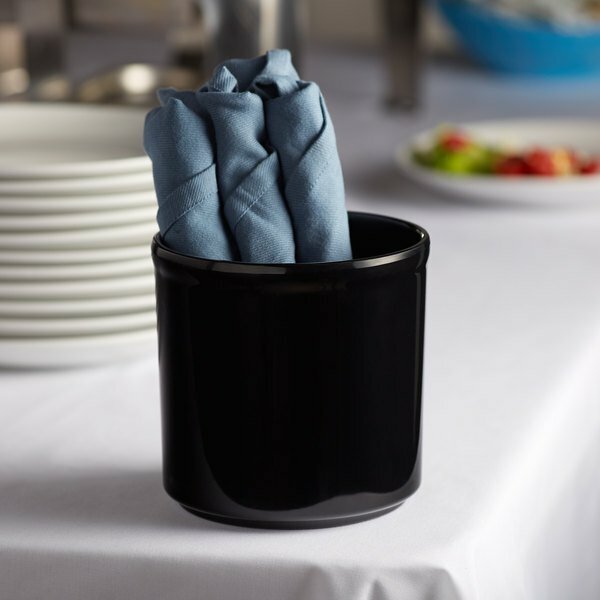 The simple design of this holder allows it to be used for a variety of purposes in any commercial setting. You can even use it to separate flatware on buffet tables or to create a display at special events!